We understand that enrolling in an independent school is a significant financial commitment for many families. We aim to provide a variety of payment options to meet your family's needs. Financial Aid may be available to eligible applicants. We value building a community which reflects the cultural and socioeconomic diversity of our area. Specific information about tuition and fees becomes available each year in January for the following school year. Once a child has been accepted to CDS, a non-refundable enrollment deposit is required to secure a place in the program offered that will be credited toward the overall tuition fee. 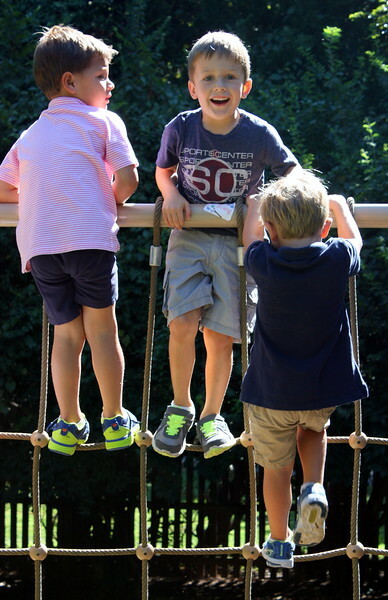 The Country Day School offers a variety of payment options to suit your financial needs. Annual Payment: Pay tuition in full. Due July 3rd. Two Payment Plan: Pay tuition by semester. 1st installment due July 3rd (50%) and 2nd installment due December 3rd (50%). Monthly Payments: Spread your tuition balance over 8 monthly installments. Paid in July, September, October, November, December, January, February and March. Payments for the 2018-19 school year may be made by check, or families may opt to set up an online payment plan using a credit card or bank draft through FACTS. To learn more about recurring online payments, please refer to the FACTS FAQ. You may set up a payment plan or apply for Financial Aid by visiting our school FACTS management site. Payments for the 2019-20 school year are managed online through Smart Tuition, with options to pay via bank draft, credit card, or check. The non-refundable deposit required upon enrollment each year is equal to one monthly payment and applied towards tuition balance, in addition to a $100 PRO Activity Fee for the year. Please note that amounts listed below for program tuition paid in installments (either in 8 monthly installments, or twice in a 60/40% split as described on the payment options tab) plus the deposit payment equal the total annual tuition. The Extended Day program is available to children enrolled in afternoon or full day programs. You may enroll regularly in the number of days needed per week (every day, just Tuesdays, etc.). Payment schedule structured to match class tuition (in full, 60/40%, or monthly). Drop-in is available at a daily rate as needed based on availability. The non-refundable deposit required upon enrollment each year is equal to one monthly payment and applied towards tuition balance, in addition to a $100 PRO Activity Fee for the year. Please note that amounts listed below for program tuition paid in installments (either in 8 monthly installments, or twice in a 50/50% split as described on the payment options tab) plus the deposit payment equal the total annual tuition. The Extended Day program is available to children enrolled in afternoon or full day programs. You may enroll regularly in the number of days needed per week (every day, just Tuesdays, etc.). Drop-in is available at a daily rate as needed based on availability. The Country Day School welcomes applications for financial aid. All financial aid grants are awarded on need-based determination by the FACTS and the school financial aid committee. Applications may be obtained by clicking on the FACTS link below. The deadline for all applicants for the 2019-20 school year is Tuesday, January 15, 2019. Admission to The Country Day School is need-blind and requests for financial aid have no bearing on admissions notifications.